Stirling heritage dates back 800 years to the twelfth century, when the town first received the burgh title. The history of Stirling is rich with legends and events from the figure of William Wallace who fought and won the battle of Stirling Bridge in 1297 against an occupying English army, to the Battle of Bannockburn where Robert the Bruces defeat of another English army in June 1314 secured Scottish independence. The Trossachs is an area of woodlands, rivers and mountains stretching from Stirling to Perth. Popular with walkers, canoeists and wildlife enthusiasts it has a wide range of landscapes and villages to explore. 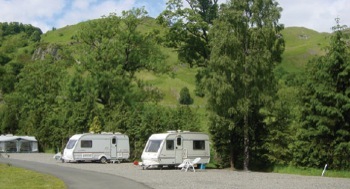 The largest village is Callander which has a tourist information and visitors centre as well as plenty of tourist shops, cafes and places to stay. Bridge of Allan is situated less than three miles from the centre of Stirling.